An evening of pure class entertainment from one of Britain's finest singers. With a breathtaking baritone voice and abundant wit, Jeff Hooper possesses an enduring magnetism that has survived the changing trends and kept his audiences captivated. Born in South Wales, Jeff launched his career after winning ITVs New Faces at the age of fourteen. He went on to appear in a variety of TV shows, gaining a recording contract with EMI and spent a decade as lead singer in the Syd Lawrence Orchestra, touring the length and breadth of the country, Europe and worldwide. 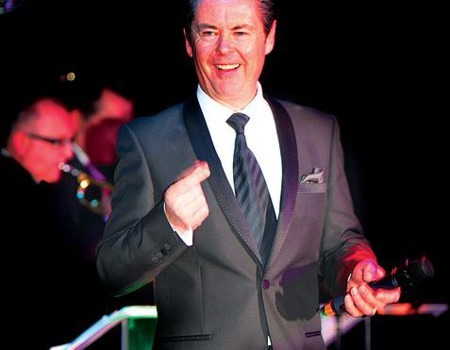 Along with his many solo cabaret appearances and performing with his own Jazz trio, Jeff runs his own Big Band and has recently performed with the Woody Herman Orchestra and appeared at Gala concerts with Katherine Jenkins and Charlotte Church. He has also performed alongside greats including Sir Tom Jones and Dame Shirley Bassey and was invited to perform at the after show parties for Monty Python and Robbie Williams at the 02 Arena.